One day Mom will laugh about this. Today is not that day and tomorrow isn’t looking good either. Dad and I sure had a good chuckle, you guys can go ahead and laugh with us too. See that wet spot on my mom’s pants – the spot where it kinda looks like she peed herself. Well she certainly didn’t have that wet spot when we started the dive. Apparently there are some scuba diving suits that keep you dry when you scuba dive. Mom and Dad each have one and they are called drysuits. Drysuits are very practical for cold water and help you stay underwater without getting wet. When Mom and Dad dive they put on fleece, long johns or sometimes PJ’s, depending on how cold the water will be. The only thing on them that is suppose to get wet is their heads, but not this dive in Mom’s case. 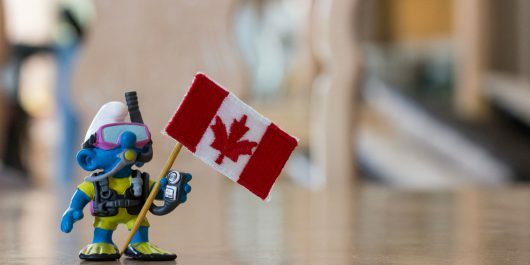 Before coming to Canada, I had never heard of a drysuit before – mostly because I always dive in my trusty old wetsuit. Just like the name sounds, in my wetsuit I get wet, but don’t worry that is how they are suppose to work. Underneath the neoprene material of my suit I wear my swimming trunks and when I hit the ocean my suit fills up with water and my body heats it to keep me warm. Maybe someday I’ll get to try out a drysuit, it looks pretty cozy. 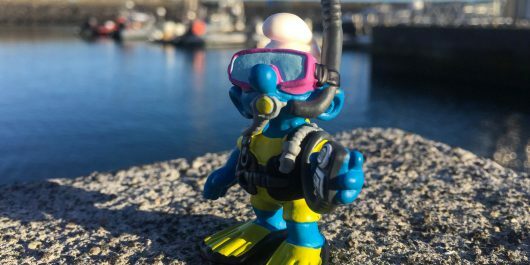 Azores here we come, and you can bet we are coming to dive, but before leaving, we made sure to investigate the dive scene and planned ahead. 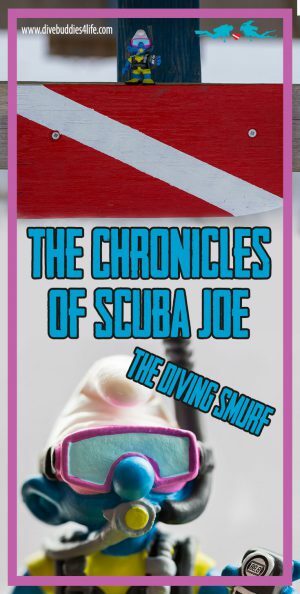 Scuba Joe teaches us that when the weather doesn't cooperate or the water looks hazardous, sometimes you need to cancel a dive. 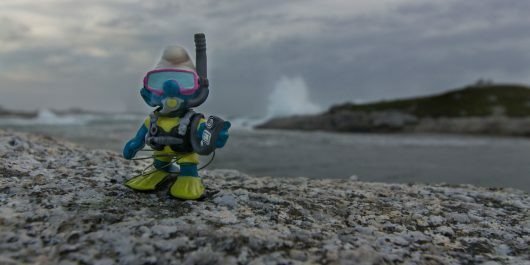 Today I went on my first Atlantic ocean dive at Paddy’s Head. For a little smurf like me it was colder than I anticipated. Join me on my adventure. I'm Scuba Joe and I come from a magical land far away. 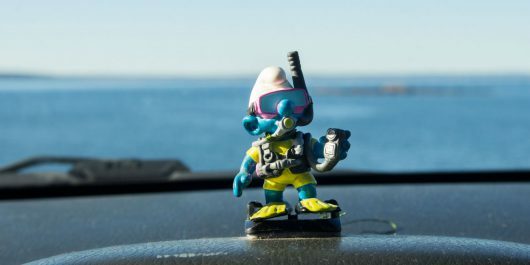 I was recently adopted and my new family is a bunch of scuba divers like me! Join me on my adventures.